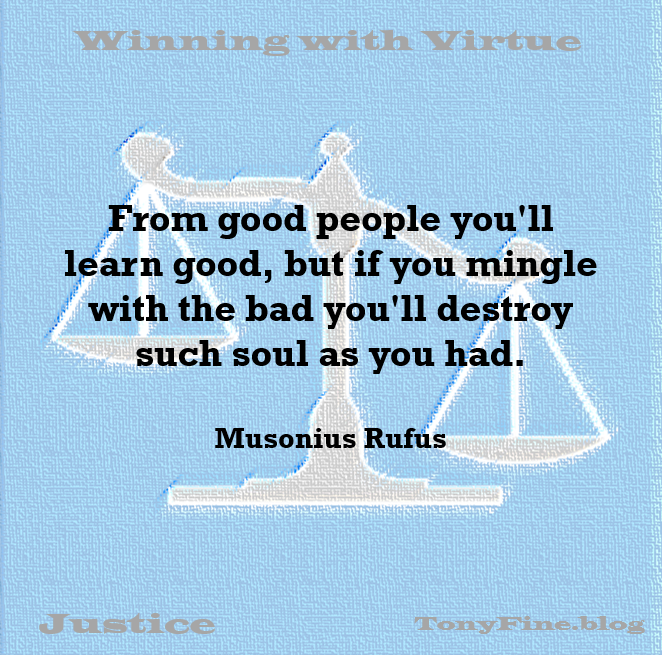 Bad company corrupts good morals. Move up in this world by eliminating those that would hold you back. Jim Rohn said, “You are the average of the five people you spend the most time with.” Who are your five people? Do they elevate you to a higher standard of living? Do they challenge you and make you a better individual? Solomon in the first chapter of Proverbs talks about those who would entice you to join with them in evil. Solomon says, “My son, do not walk in the way with them, hold back your foot from their path! He knew that if you hung out with them the peer pressure would be too great. It may seem like an extreme example, but it is one that is all too real for the innocent youth. A less extreme example would be those toxic friends, coworkers, and family members that are always around. Their constant complaining and bitterness is infectious. You could justify their behavior as just a part of their personality. But spend enough time in their presence, and before too long, their poison will spread to you. After all, you are the average of the five people you spend the most time with. What is the solution? Cut out the cancer before it spreads. If you cannot remove them from your life completely, spend less time with them. It may seem cold, especially if it is a family member. But what would you rather have? You could be like them, or you could be better.